See how it barely sits underneath the legs of our couch (look at the spot where the couch and white chair legs meet)? I never really noticed it before but it's too small for the room :( Even though I love, love, love this rug, the size issue is one of those things I can't unsee now so I keep fixating on it every time I walk past the couch. We have the same rug in our dining room so if we replace our living room rug, we'll be replacing our dining room's rug as well. After we replace them, we'll be playing musical rugs. Our living room rug will be moved to our master bedroom and our dining room rug will be moved to our loft. Our loft's rug will be moved to our guest bedroom and then every room will have a rug! Fair warning: almost all of these options are similar. Also, most of them are neutral to keep our main floor from looking like a circus. West Elm is having a 30% off sale on their rugs so I started my search there first. 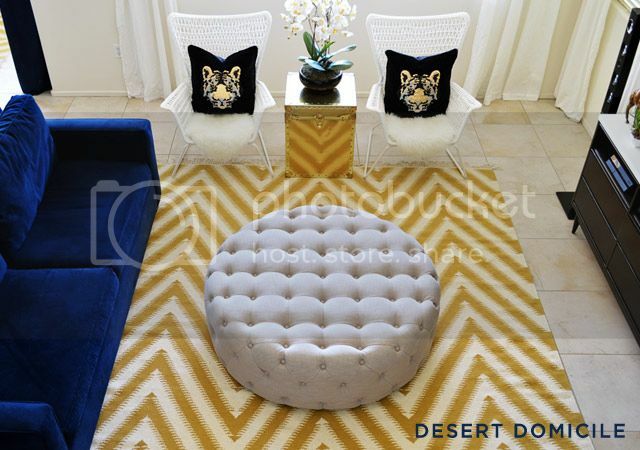 I love the pattern of the Kasbah rug and think it'd be nice and cozy under our feet. My only concern is that our living room is a high traffic area and I think the rug would start to look dingy after a while. 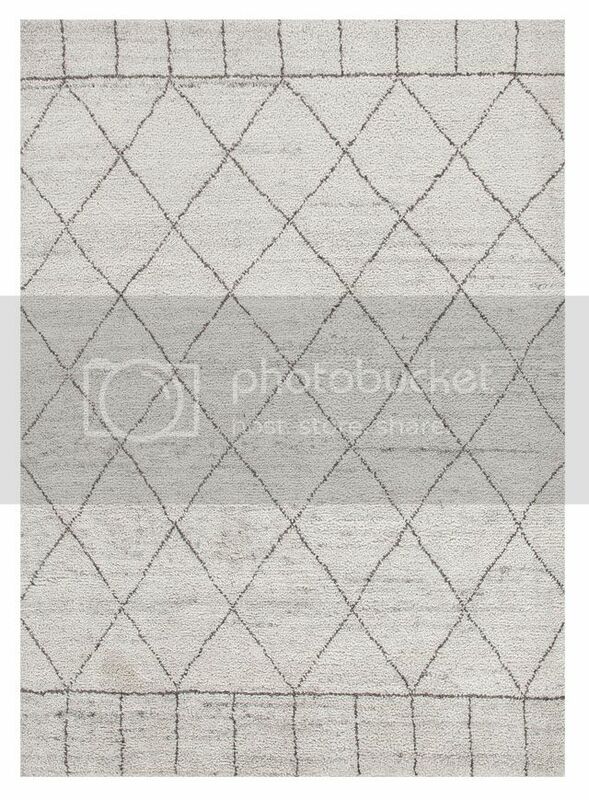 They do have a gray version of the rug that's currently on clearance for a great price! I'm not sure if I want another gray item considering we already have a gray chair and a gray ottoman in our living room as well as gray dining chairs in our dining room. I love the imperfect pattern of this rug. It has a white background like the one above but I think the worn pattern might help conceal any future wear. I want to sink my toes into this rug, it looks so cushy! I really love the pattern but I don't like the price haha It's one of the most expensive options but maybe it'll go on sale soon! 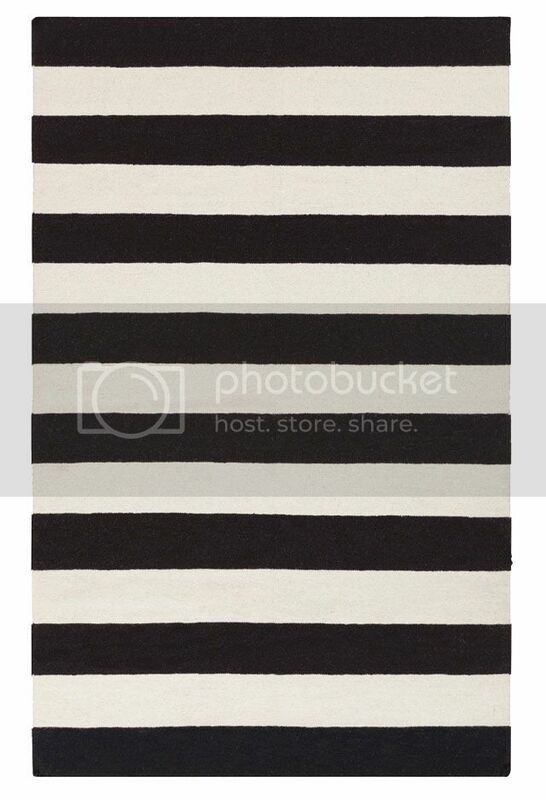 A simple striped rug could be nice! I like how the wide stripes would make our living room feel longer and wider. I also like how the black stripes are on the edges AKA the place where most people step on rugs when they're passing by. I included a colorful option just for fun! I think the orange could work well with the rest of the colors in our living and dining rooms. I'm not sure if I'd like the navy and orange color combo though since it reminds me of several sports teams colors haha Weird but true! If this pattern came in a different color combo, I'd be sold! Which rug is your favorite? Have any other suggestions? i am al over that torres kilim..... LOVE. I have been looking for a new large rug for my LR too. I like the indoor/outdoor ones for our lifestyle. Love all your choices and while I think that you can never go wrong with the first three choices, I have to say that I love the graphic pattern of the one you have so much that I think you should maybe get another graphic bold pattern. It looks so good and makes that gorgeous ottoman stand out. Love all the rugs though. 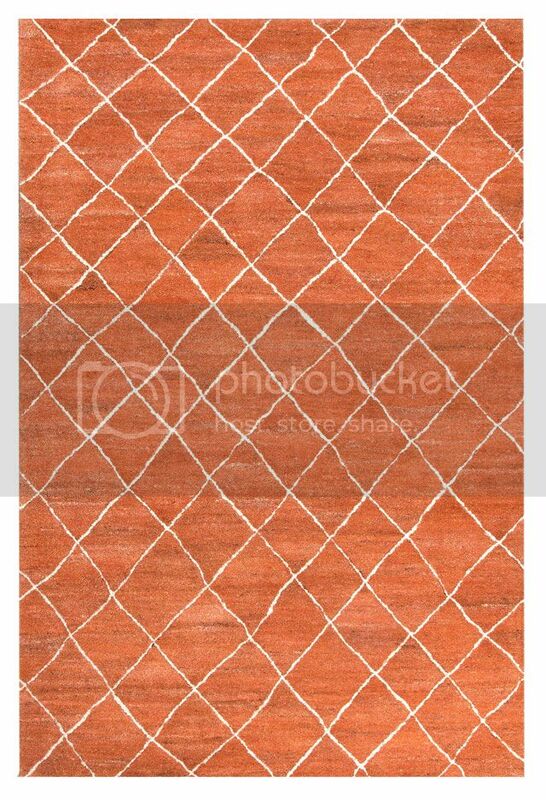 I didn't even think about looking at indoor/outdoor rugs! Such a good idea! 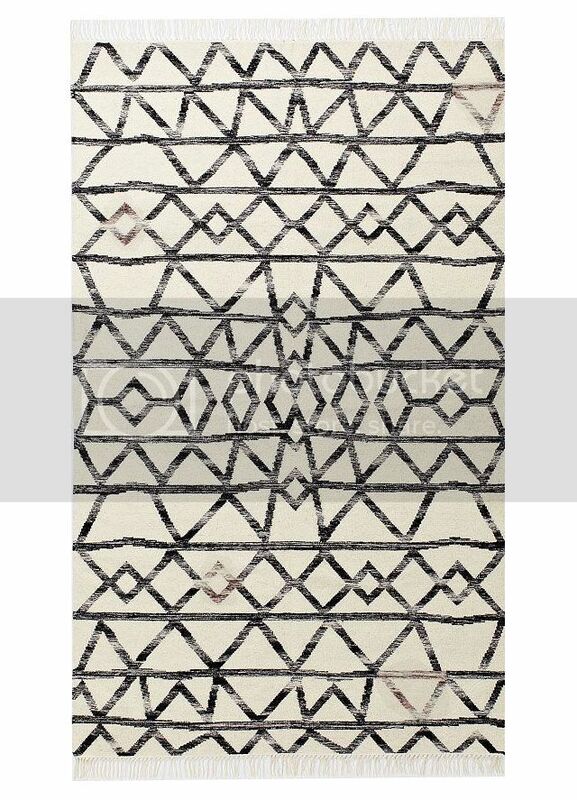 for your space i am loving the WE Torres Kilim. That would be phenom! I say go Persian! 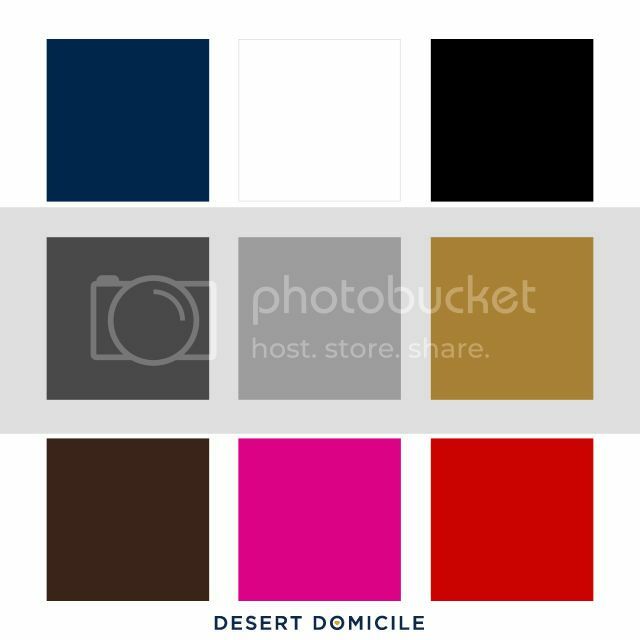 It will bring your color palette together, especially the blues and the blacks. It also will help with the contrast between your rug and the tile floor. And Persians look great with large scale patterns like the yellow dhurrie you have now, so I would use the yellow dhurrie in the dining room and the Persian in the living room. Oh geez it looks like I'm full of opinions this morning. You'll have to forgive me. I've already had a Mountain Dew. ESaleRugs.com and eBay are always where I find good Persians. 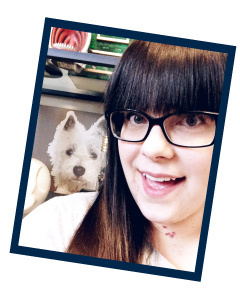 They come in lots of different non-standard sizes but maybe you'll find one that works for you! But you're right, it won't solve the problem of having two identical rugs in the same room. I think you're smart for doing that because your floor plan is so open. Have you ever considered a vintage Persian rug, a la Yellow Brick Home? (http://www.yellowbrickhome.com/2014/05/13/a-rug-that-punches-you-in-the-face/) Their blue couch reminded me of yours! 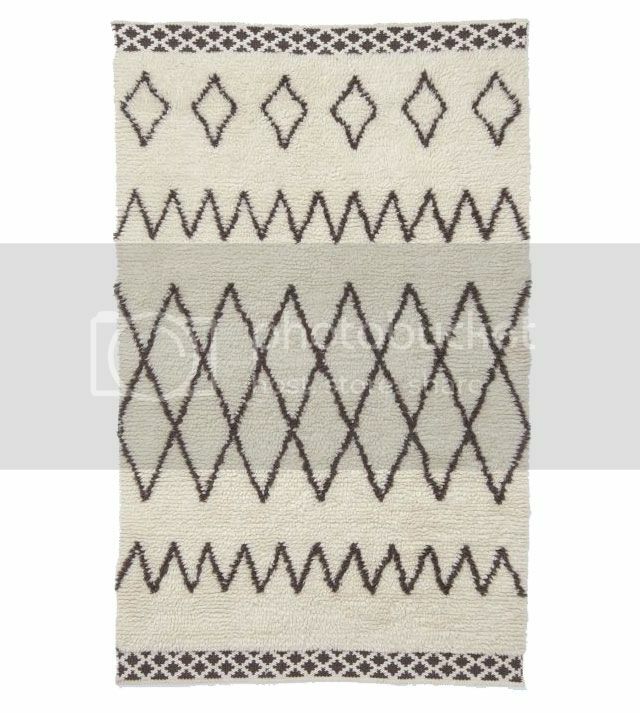 I'm loving the Torres Kilim Rug. 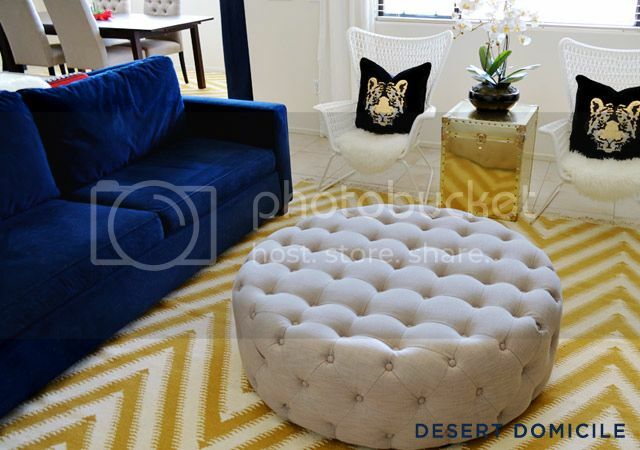 I think it's a fun take on the Moroccan shag rug that is everywhere and never gets old! I think there's enough lines there to hide the wear too. Loving numero dos!!!!! Although they'd all look pretty great. Aw, I love this rug! I say go with the black and white. You can never go wrong with a black and white stripe. I feel like I've seen a lot of 1, 2, and 3 everywhere. I like bachelor number two but theyre all gorgeous! I feel like you have so many great pieces that you don't want to have a rug that fights for attention. I am all for the World Market one! How about taking the rug out of the dining room and laying it by the one in the living area to make it look like one large rug. You can duct tape them together on the back or do a quick slip stitch to keep them together.. The yellow and white is already great. Then pick one one the first three choices for your dining room.